Spring Magic Bowls by Proven Winners are on my list of ‘Top 10’ things for your garden this spring. They are colorful, easy and different. While all your neighbors will have the same old pansies, you will stand out with elegance using Spring Magic Bowls. Not only will they add beauty to your garden, they are a smart investment. Spring Magic Bowls are composed of perennials and self-seeding plants that will come back in your garden year after year. Click HERE to watch a quick story about them that I did for WFSB’s Better Connecticut. There are lots of flavors to pick from, depending on your taste in colors. 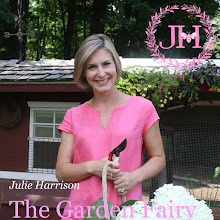 Green thumb or not, you need to have at least one in your garden. What’s not to LOVE about these?